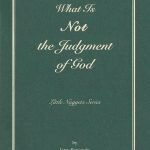 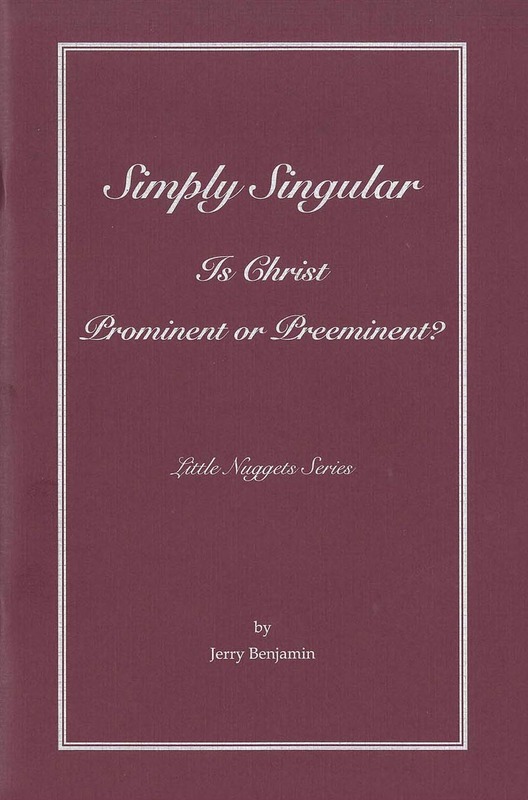 Home » Products » Little Nuggets – Simple Singular – Is Christ Prominent Or Preeminent? 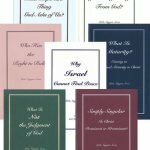 No greater need exists among Christians today than returning to the simplicity of loving and adoring Christ for Who He is, so that He would be preeminent. Preeminence is different from prominence. 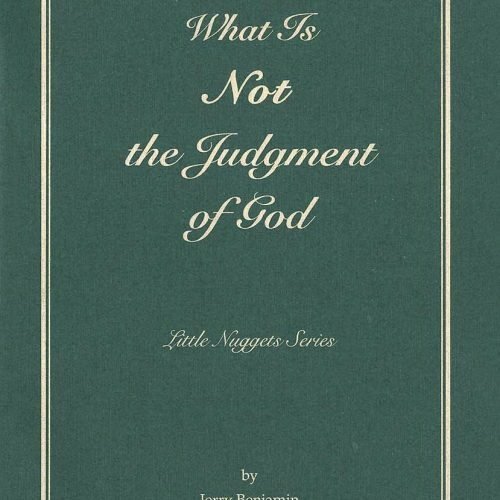 Prominence suggests “one among many.” If I were to say to my wife, “Sweetie, you are prominent in my affections it would probably engender uncertainty rather than encourage assurance-because obviously, her first thought would be “Who else is prominent in your heart?” Preeminence, however, conveys the truth that there is no one else THE one and only. 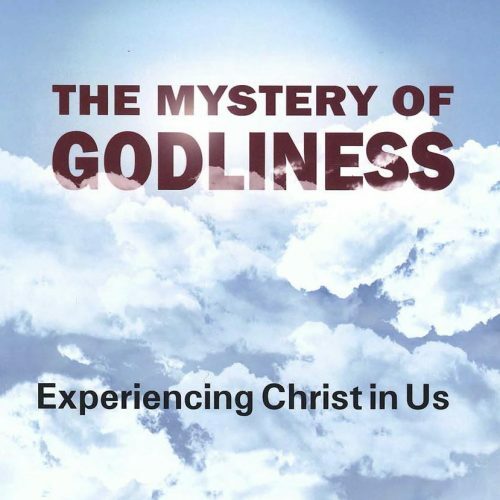 Every wife desires that place in her husband’s love, but in a far greater and deeper way, the Lord Jesus Christ is to have the preeminence in and over everything in our lives. 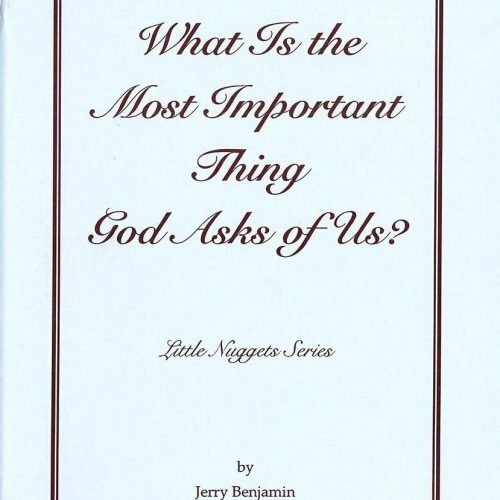 This book is part of the ‘Little Nuggets’ series by Dr. Jerry Benjamin. 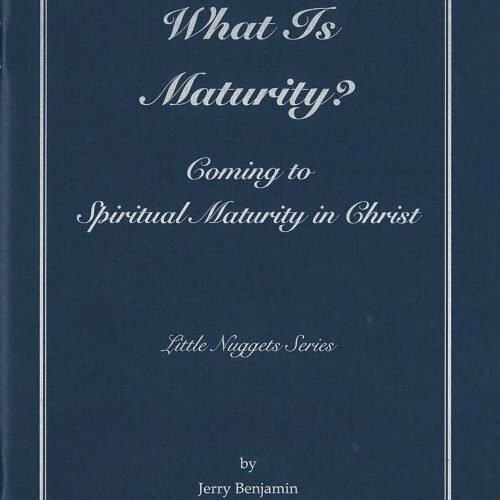 Little Nuggets – What Is Maturity?